Here two strong instrumentalists and composers have joined forces in a duo that plays original Danish music – mainly their own compositions – music where both the lyrical and the swinging element come to expression. "They simply supplement each othe well on an outstanding recording that borders on New Age and classical music." 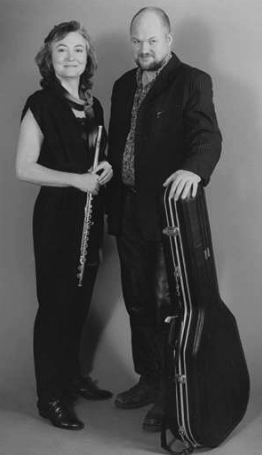 The duo perform in churches and jazz venues all over Denmark. The interplay between Chris Poole and Kasper Søeborg has the hallmark of a long time collaboration being fantastically intergrated and mutally attentive. Then there is the fine coupling of pieces with informative and funny comments and a verbal ping-pong that could only leave one with the feeling that this was a great experience." See when and where Chris Poole & Kasper Søeborg Duo are playing next time in the calender.